Many of us have been there. Sitting in front of our computers, we fret over how we will find the time and funding to examine important manuscript sources at faraway archives. And then, a few keystrokes later, we find that those sources are available in published form. Relief floods over us, replacing anxiety. But should we really be so relieved? Scholarship can come at such a fast clip nowadays that it can be tough to keep up. Actually, scratch that; it is impossible to keep up with the massive amounts of articles that come out at an unrelenting rate. 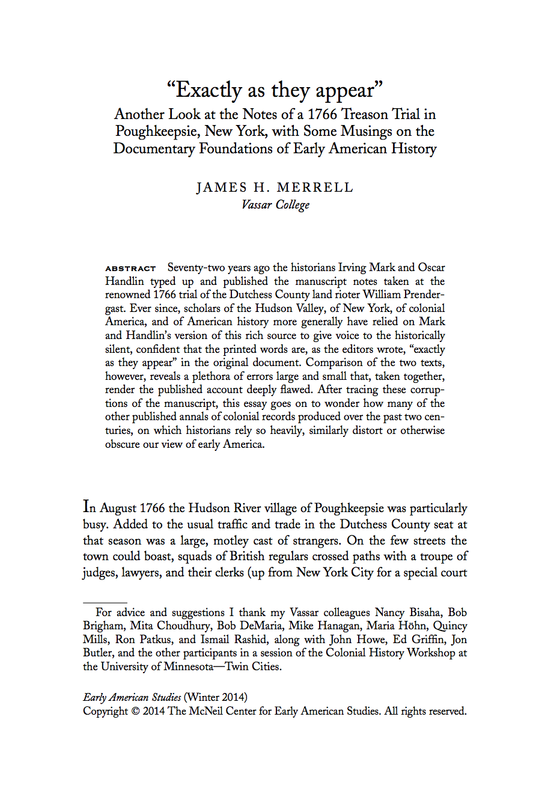 With the number of journals out there publishing quality work in early American history—journals that are both dedicated to our field or just sometimes carry work in our field amongst other periods—there is often an avalanche of new work that one can feel overwhelmed. Whether you receive hard copies of the many journals, use those from your institution’s library, or just get all of the content online (guilty), your reading list is always at such a ridiculous height that it is difficult to just keep track of all the recent articles, let alone read them. Such are the #firstworldproblems of the modern-day academic.